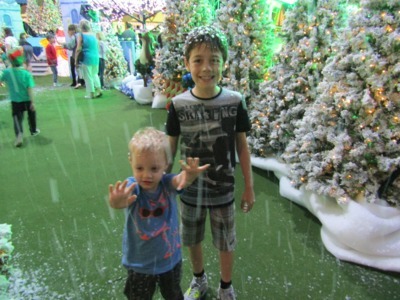 When Santa's Magical Kingdom opens to the public, you know that Christmas has arrived in Melbourne. 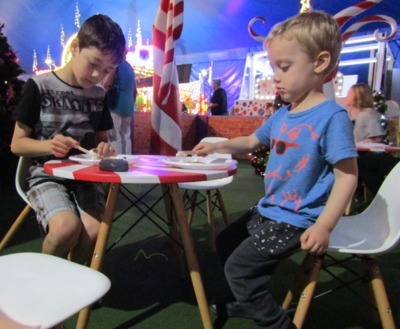 The iconic celebration of the festive season can be found under the Big Top at Caulfield Racecourse. 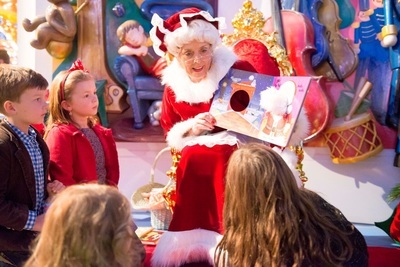 Step inside Santa's Magical Kingdom and you will be transported into a magical wonderland filled with fairy lights, super sized Christmas trees, snow (albeit of the foam variety) and plenty of activities to keep little ones busy for hours. A Pirate Ship with Captain Cook, Tinkerbell and Peter Pan on board. Here your kids will craft up a storm in a world of make believe. The "Candy Academy" where children can decorate their own Gingerbread Men and eat their creations, too. Mrs Claus' village where your little ones can write a letter to Santa asking for their wishes for Christmas 2017. Snowland where the children will delight in the snow falling from the sky and enjoy a meet-and-greet with the Snow Fairy who sprinkles her magical fairy dust on all children who visit. Meet this year’s Santa’s Magical Kingdom Ambassadors Poppy and Branch from the Trolls movie, who will pose with the kids under the giant Christmas tree for photographs. Minions are invited to celebrate Rudolph’s birthday with him on various days throughout the festive Kingdom’s season. (Selected dates only, check the SMK website for more details). The Christmas Spectacular Show will have all the stars of Christmas come out to play with the audience. Lots and lots of rides. Amusement rides and games include: Santa’s Sleigh Ride, the Giant Ferris Wheel, one of Australia’s largest Super Slides, Space Ride, Cup Ride and the Elves’ Magical Train Ride. Being that this was not our first time attending Santa's Magical Kingdom, we skipped the Christmas Spectacular Show in favour of avoiding queues for the rides. This was the best decision for us, so the kids got to ride their favourites numerous times without the wait. Both boys had the best time this year, the smiles on they faces spoke a thousand words. If you've not yet been to a Santa's Magical Kingdom event before, I wouldn't suggest missing out on the Christmas Spectacular Show altogether, this is merely something we found worked for us this year. 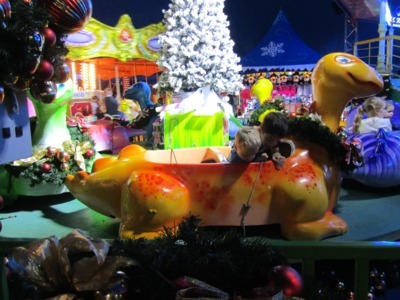 Celebrate Christmas in Melbourne and kick off your festival season at Santa's Magical Kingdom.